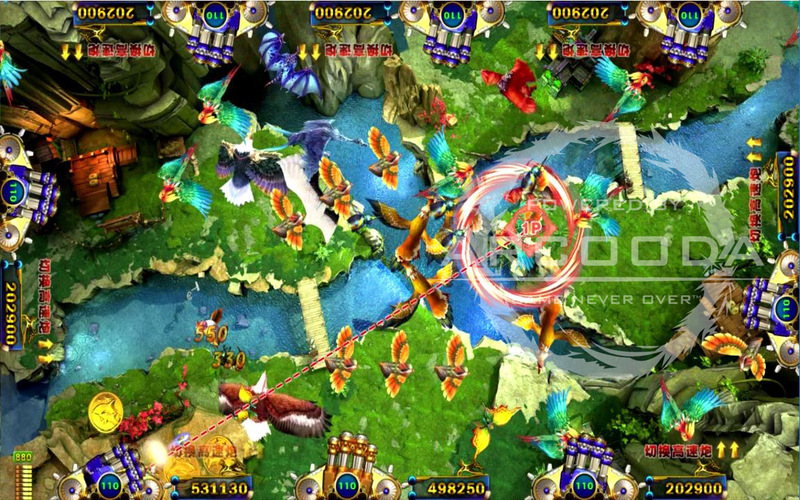 Hunters looking to play a fish game with a difference can gear up with the sequel to Mystic Dragon in Mystic Dragon 2- 8 player. 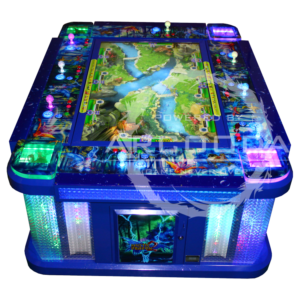 Mystic Dragon 2- 8 player allows players to emerge from the seas and, instead of hunting for ocean creatures, hunt for bugs, birds and dragons in the skies over forests, mountains and seascapes. 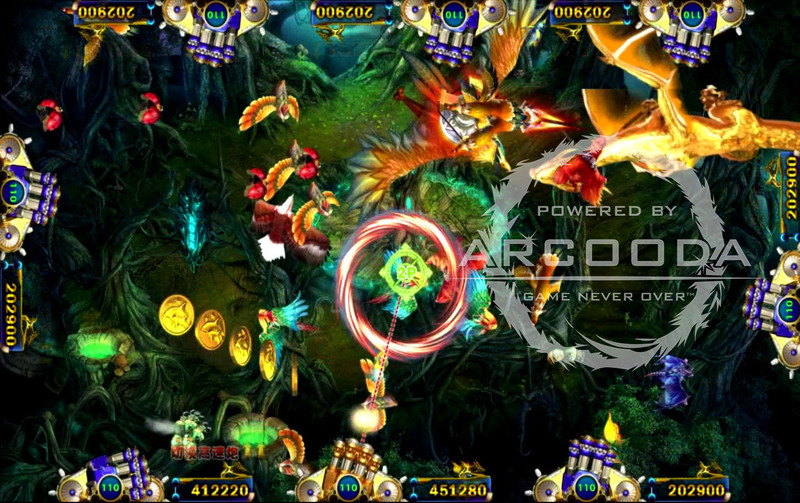 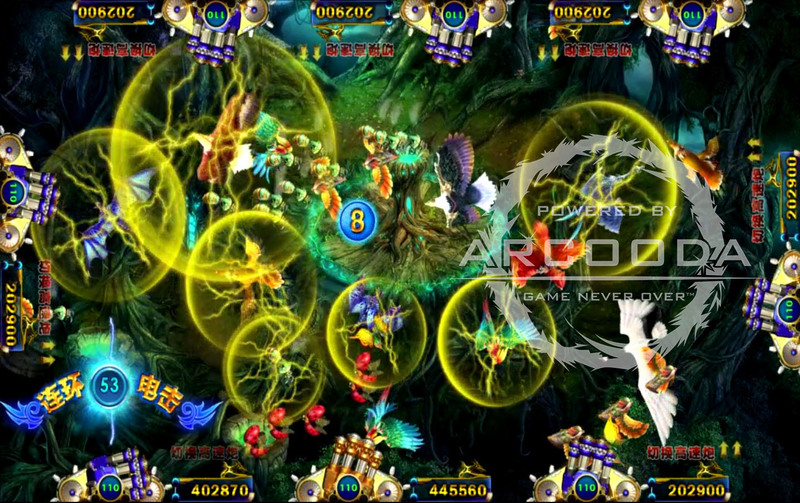 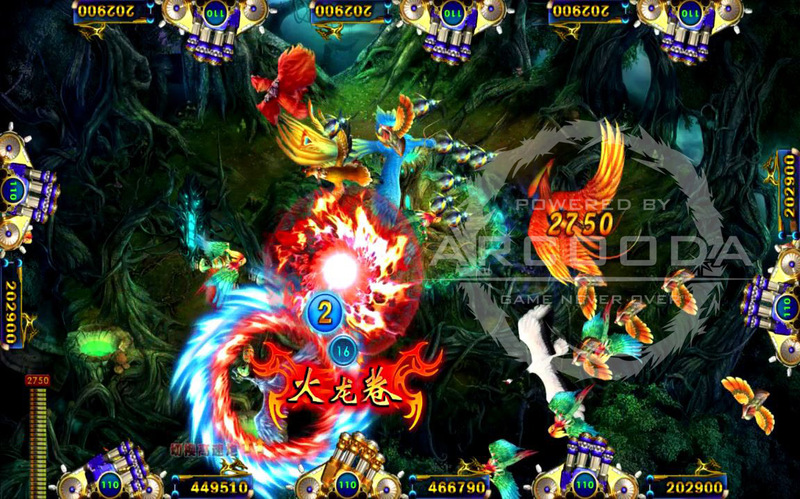 Some notable features of Mystic Dragon 2- 8 player include: new characters – instead of fish hunt bugs, birds and dragons; new in-game features; all new and vibrant game scenery – look over forests and beaches; new backing soundtrack during gameplay; unique settings for game owners. 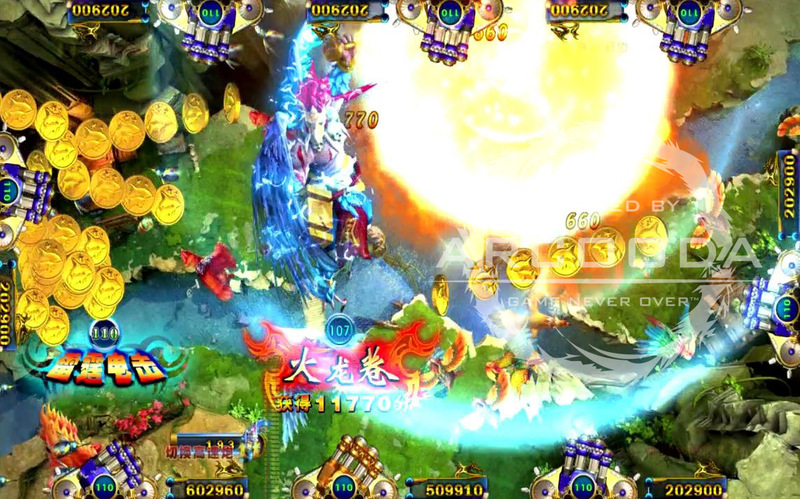 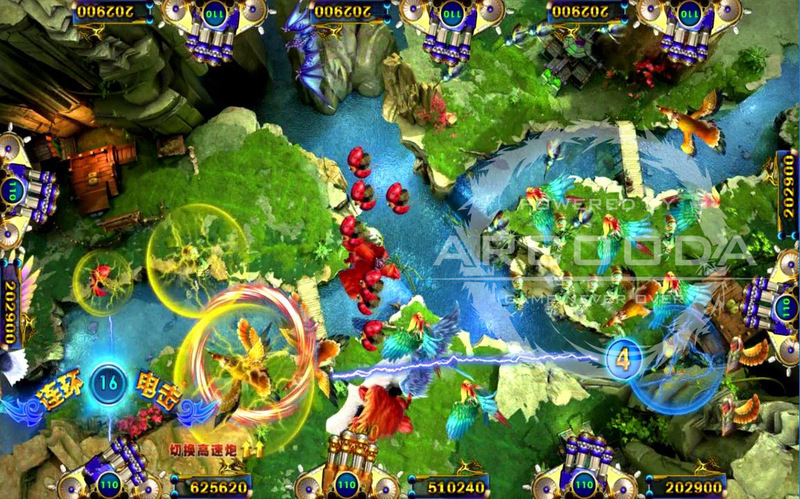 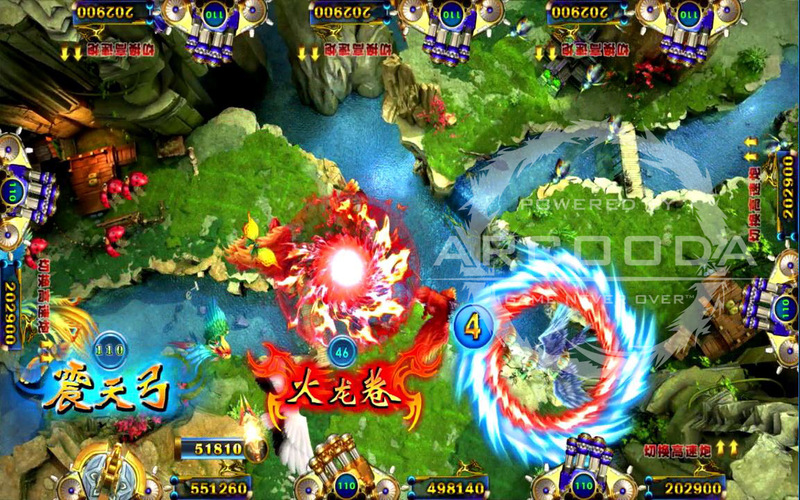 Mystic Dragon 2- 8 player is available in Chinese Version for Asian market and in English Version for western market. 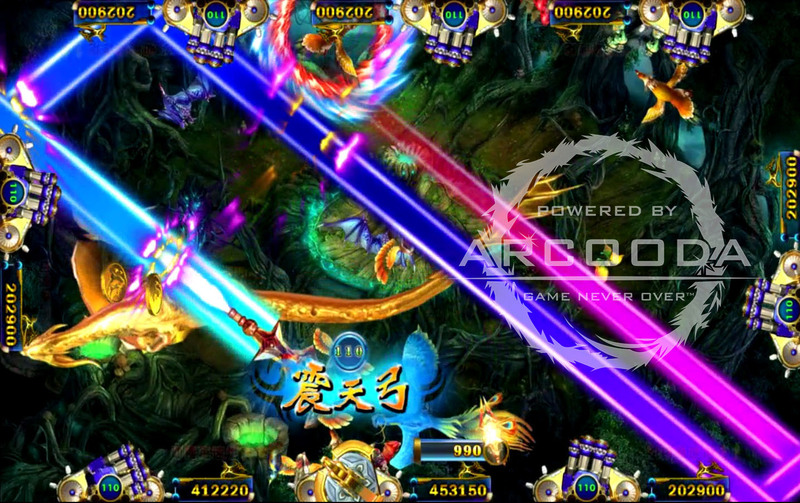 In Mystic Dragon 2- 8 player there are 21 characters to catch, all of which are worth different point values. 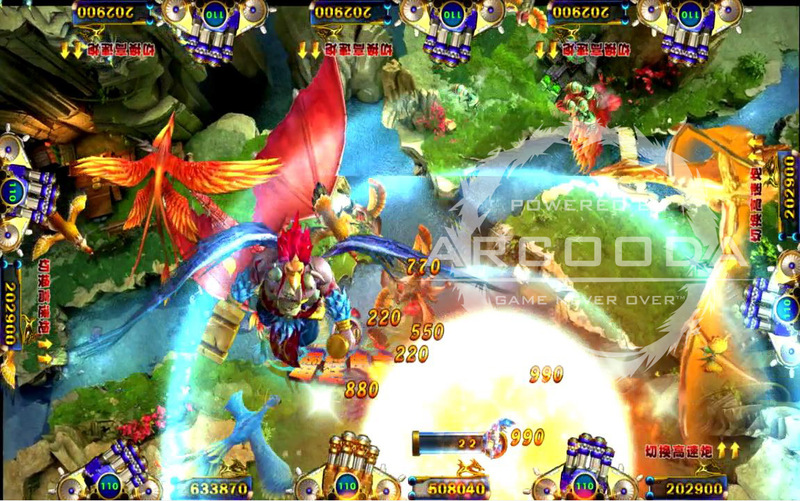 Players increase their scores by the number and value of characters they shoot during games. 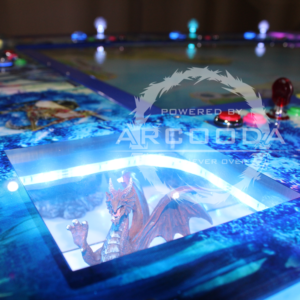 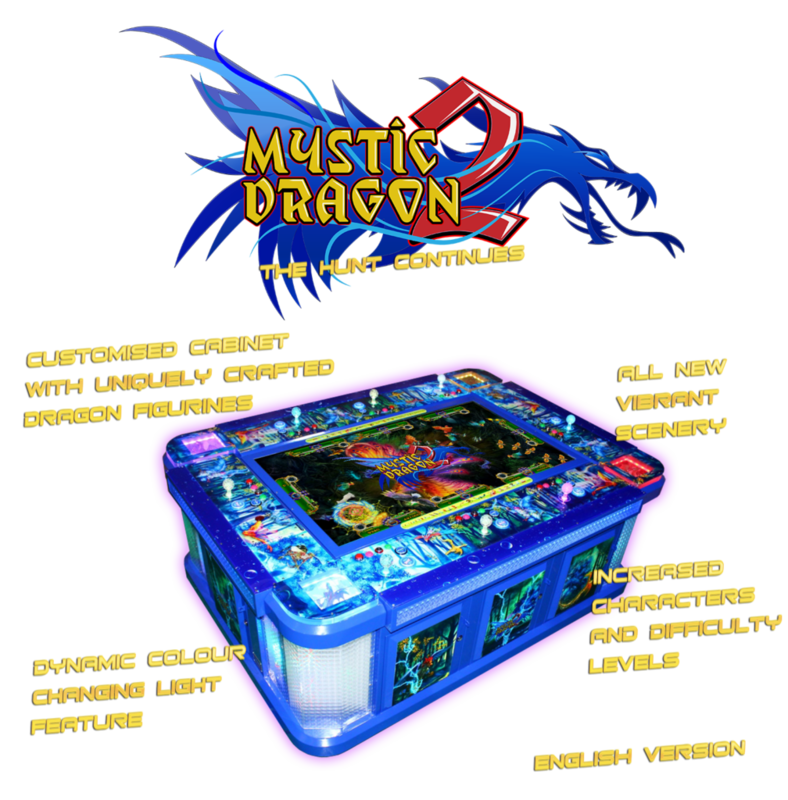 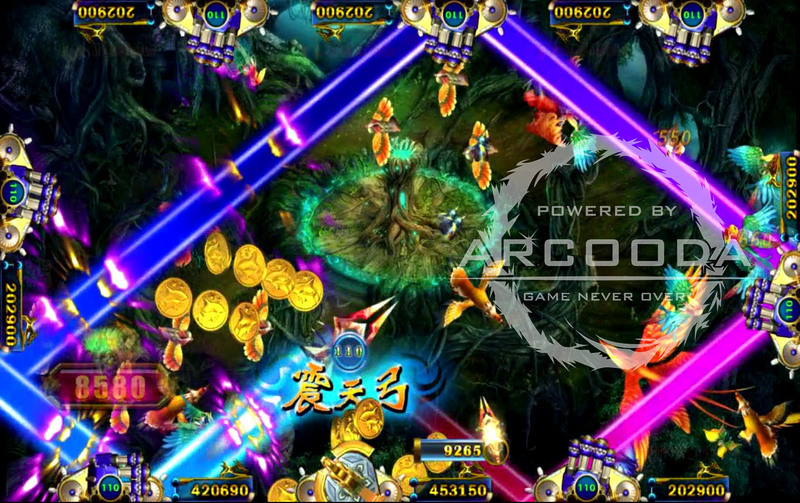 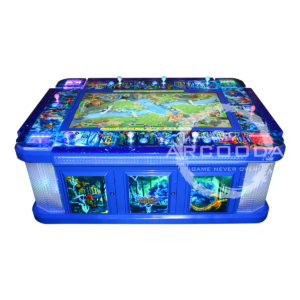 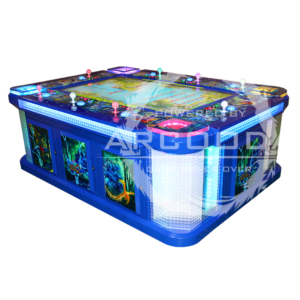 Mystic Dragon 2 is available to buy on its own or can be shipped with Arcooda’s six or eight-player fish machine.